Veterinary students at Utah State University (USU) will soon have better insight into the care and handling of horses, thanks to a $1.8 million barn planned for the school’s 26-acre South Farm education center. 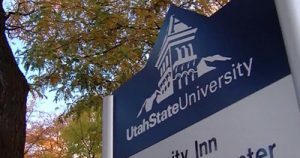 The Utah State Board of Regents authorized construction of the new facility, which will serve USU’s School of Veterinary Medicine. The 20,000-square-foot metal barn also will cater to the university’s College of Agriculture and Applied Sciences, which includes an animal, dairy, and veterinary sciences program with an emphasis on equine science and management. The new facility will help accommodate the growing number of students interested in that discipline. In 2014, 65 students were enrolled in equine science and management; that number grew to 103 in 2018. Additionally, students enrolled in classes to earn a minor in equine-assisted activities and therapy nearly doubled in 2018 compared to the previous year. Plans for the new barn include 51 stalls, three tack rooms, and two wash bays. Additionally, the building will have open areas for saddling and unsaddling horses, lab activities, and space for trimming/balancing hooves and shoeing horses. The barn—which will be designed, built, operated, and maintained using institutional funds from the veterinary school—also will enable USU to host horse shows and competitions. Construction is slated to begin this fall and is expected to complete in March 2019.